Iraq had entered the West Asian Games knowing they had some sort of chance of winning the tournament and they did exactly that. Their confidence was then boosted when they thrashed Palestine in the first group match 4-0. Razzaq Farhan scored in the first four minutes of the tournament. Hawar Mulla Mohammed scored on the 57th minute and more goals then quickly followed through Louay Salah on 73 minutes and Ahmad Salah on the 85th minute. 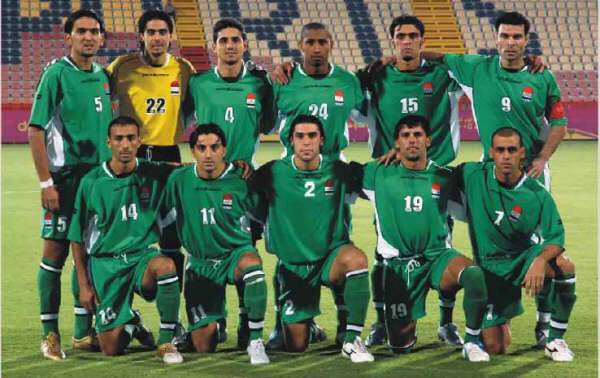 Iraq followed this impressive win by beating rivals Saudi Arabia 5-1. Attacking right sided defender Haider Abdelamer scored the first of many in the 5th minute. Emad Mohammed scored another on the 18th minute and Nashat Akram then scored on the half hour mark to make it 3-0. Younis Mahmoud 'The Frightful' scored and Iraq had got the win but the Saudi's grabbed a consolation goal which was quickly dashed when Younis Mahmoud got his brace and Iraq won the game 5-1. Despite the Saudis losing so badly they made it through the groups only to face the power of Iraq again in the semi final. Iraq beat them easily 2-0 with goals from Louay Salah (34') and Razzaq Farhan (85'). Iraq had made it to the final on top form and were facing another top form team in Syria. It would turn out to be one of the most exciting finals in Iraq's history and maybe in world footballing history. Syria scored a goal in the 20th minute by Mahmoud Amenh. But Iraqi veteran Razzaq Farhan then scored a scrappy yet excellently taken goal in the 45th minute on half time and this gave Iraq a lot of confidence going into the second half. They continued with confidence and Younis Mahmoud scored an unbelievable screamer that will never be forgotten by Iraqi fans. 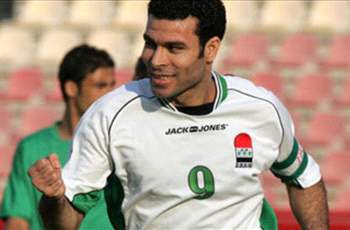 But unluckily for Iraq, Syria scored a goal in the last minute which looked to have been handball by Jehad Al Hussain. Extra time had no goals and it was down to nervous penalties for Iraq. Qusay Munir was up first and missed his penalty against the Syrian keeper and things didn't look good for Iraq. Syria also missed their penalty, forcing a great save from Noor Sabri. Emad Mohammed slotted in the first successful penalty and made it 1-0 to Iraq on penalties and Syria also scored their next penalty which made it 1-1. Haider Abdelamer slotted the ball straight to the middle of the goal to make it 2-1 to Iraq. Syria scored their next one too but Noor Sabri nearly stopped the ball from going in as it hit the post and rolled in slowly; it was now 2-2. Younis Mahmoud scored a wonderful top corner penalty for Iraq and it became 3-2 to the Lions of Mesopotamia. Syria fired the ball into the high left corner giving the keeper no chance and the scores were levelled at 3-3. Next up was Iraq goalkeeper Noor Sabri; he scored a precision penalty in the bottom left corner and a save by Noor Sabri would see Iraq lift the trophy. Syria hit a bad penalty and Noor Sabri dived to his right and saved it and Iraq became the champions of West Asia. It was a great day for Iraq and Noor Sabri became an Iraqi national hero.